The city of Newberg is moving toward a regional effort to reopen the Willamette Falls Locks as part of an ongoing effort by the Oregon Senate. The channel and locks, according to Senate Bill 265 from 2017, decrees "operation and maintenance of the Willamette Falls navigation channel and locks … is important to the city of Newberg and its residents for the future recreational and transportation benefits the navigability of the upper and lower Willamette River will provide to the region. " According to city council documents, Newberg will be part of the Willamette Falls Task Force and be asked to contribute $2,500 a year toward the project. "For me, there's economic benefit for us if the river becomes navigable," Newberg Mayor Rick Rogers said. City Councilor Pat Johnson said the city put together the commission to talk about reopening the locks, but added it wasn't definite who would own them -- the state, the counties or the cities along the river. "We're not putting a ton of resources into the commission, but we're letting the council know what's going on," Johnson said. According to state statutes, "state, local and regional government agencies (will join) on development and implementation of a plan for repair, reopening, operation and maintenance of the Willamette Falls navigation canal and locks. The commission may recommend formation of an intergovernmental agreement. The commission is also directed to keep the Oregon congressional delegation informed. The work follows on the work of the 2016 Willamette Falls Locks Task Force." Gov. Kate Brown has also appointed a state commission to oversee what happens to the falls. She included $7.5 million in state lottery funds in her proposed 2019 budget to help fund the repair and reopening of the locks. According to a report by ECONorthwest, "reopening the locks could create nearly $100 million in combined transportation and recreation benefits for Oregonians, return navigational access to the upper — and lower — Willamette River, reduce freight traffic from Portland roadways, and increase our region's resiliency to address future disasters such as a Cascadia earthquake. Creating a public access point for the Willamette Falls also holds tremendous historical and cultural value to Native Americans and Oregonians." 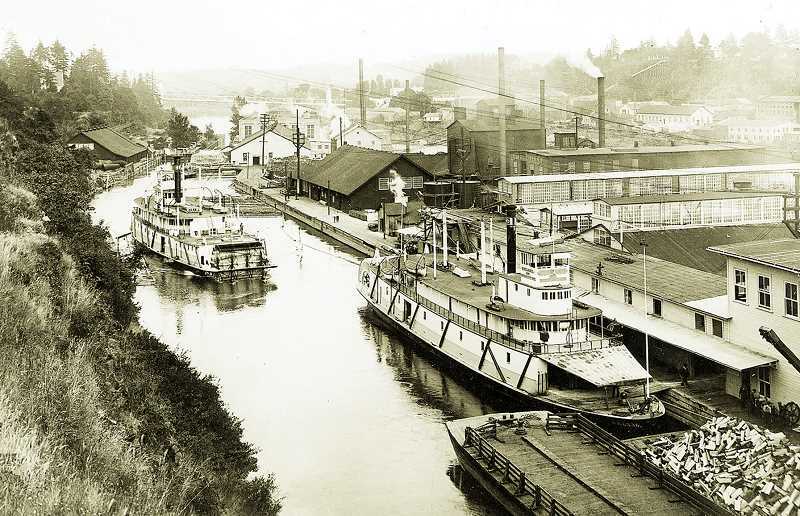 Rogers said the plan not only benefits Newberg, but other cities on the river. He added that there have been talks of having the Spirit of Portland, a cruise ship, travel up the river for wine tours. He and Johnson also stressed the importance of having such a service in Newberg in case of a natural disaster. "If we lose a bridge, we could (ship) supplies via the river," Rogers said. Johnson said this was a good partnership with the state, given all the work that has transpired on the Newberg-Dundee bypass. "This is not a project I expect to come to fruition to in the next 12 months," Johnson said. "Hopefully, it can help Newberg." The locks have been at the center of controversy for more than a decade. After going through several repairs to allow boats to continue up the river, the locks were closed in 2008. They were opened again a year later as part of President Barack Obama's stimulus plan, which gave $1.8 million to repair and inspect the locks, with another $900,000 coming the next year. The locks reopened in 2010, but were shuttered again the following year, due to corrosion of the gates anchors. "It's a cool project, I hope it gets the funding," Rogers said. "We (thought) it would be a good idea to be involved," Johnson said. "It just makes sense to help advocate for these."